It’s difficult to summarise AMD’s Radeon VII graphics card in only a few words. 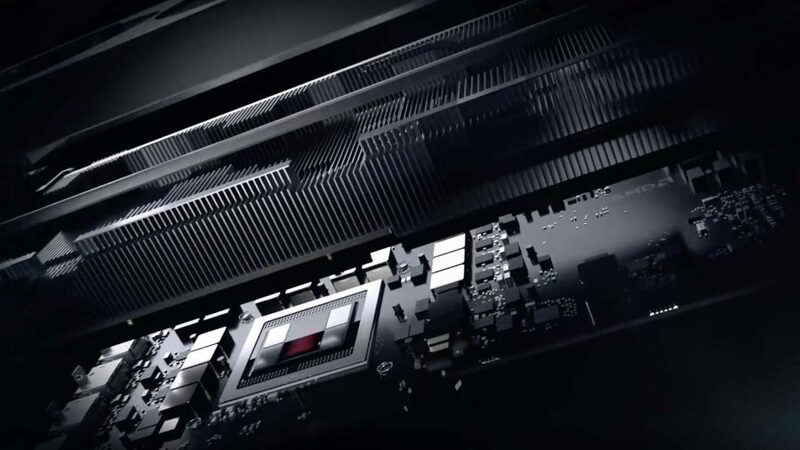 It’s a return to high-end graphics competitiveness and, for gamers that shun the grass-is-greener mentality, the card offers a viable alternative to Nvidia’s Turing silicon. Yet the Radeon VII is utterly reactionary – it’s a card that is utilising quick and dirty tricks to take advantage of Nvidia’s generational performance deficit. If it weren’t for Nvidia’s rather stunted generation-to-generation performance jump with Turing, AMD wouldn’t have a leg to stand on. A $699 card that performs similarly to a GTX 1080 Ti two years after the fact? You’ve got to be kidding me. But hey, it’s a product of the times, and one semiconductor’s loss is another’s gain. That return to competitiveness isn’t AMD putting its best foot forward. The Radeon VII’s regurgitated Vega architecture exposes the vulnerability in AMD’s GPU microarchitecture, and the real star of the show here is TSMC’s 7nm node. The Radeon VII is Vega at its absolute limits, entirely reliant on the 7nm process node to both heave up those clockspeeds and keep power low enough to avoid combustion. And it’s only just competitive with Nvidia’s GTX 1080 Ti on the 16nm process node. That right there? That’s architectural dominance. A supremacy going back to the energy-efficiency gains of the original Maxwell GPU design. Nvidia managed to double the performance-per-watt with Maxwell over its predecessor, Kepler, ditching the ageing architecture’s SMX and replacing it with the SMM multiprocessor design that has more or less made its way into every card ever since. Even the RTX 2080 Ti isn’t a far cry from the original SMM design. Most importantly, these efficiency gains were made while retaining the same 28nm process as the Kepler architecture. With neither the green team or AMD holding proprietary manufacturing capabilities – both hire fab space from pure-play foundry TSMC – the process node advantage is a rather discountable vector in the whole race to GPU supremacy. The green team has direct access to the heart of the Radeon VII’s performance and plenty of R&D capital to make up for lost ground. We’ve only heard light rumblings of Nvidia’s 7nm efforts so far, but the last rumours had Nvidia tapping Samsung’s EUV-enhanced 7nm process in 2020. The green team is reportedly a launch partner for Samsung’s upcoming process node, which, if all goes to plan, will offer performance gains not unlike those TSMC and AMD have brought to the table but on top of graphics cards that, almost effortlessly, outshine Radeon’s best efforts. Not that Nvidia will be launching 7nm GPUs tomorrow. There’s no urgent need for it to do so whatsoever with the market leaning so heavily in its favour. A dominant AMD would certainly be great to re-energise the green team, that’s for sure. Though with TSMC and Samsung all racing towards 7nm and EUV, Nvidia can almost make the move to the smaller, more efficient node when it chooses. AMD’s promise to be competitive in the high-end gaming market will be short-lived once there’s process node parity – that is, unless it has something drastic in the R&D pipeline. What can AMD do when it does put its best foot forward? That’s the all-important question. Because I’ll admit my outlook of continued Nvidia dominance over the next few years discounts RTG’s hidden efforts tinkering behind the scenes in the labs. At least from what we’ve seen so far, AMD could be pulling a Maxwell, too. Recently surfaced patents show AMD could be taking a leaf out of the green team’s books and going granular – stuffing even more logic within each individual stream processor than ever before. The patent application named “Stream processor with high bandwidth and low power vector register file” was filed in 2017 and published December, 2018. Each stream processor would take on silicon previously limited to the GCN unit, each working with greater independence and a lessened reliance on the resources shared between the GCN Compute Unit as a whole. And there’s an uncanny resemblance between these designs and Nvidia’s efficient streaming multiprocessor, or SM, too. These patents aren’t the latest and greatest from the red camp. But if AMD is taking this route with its post-GCN architecture, whatever its got in the labs could gain ground on Nvidia where it counts. Fans and critics alike are crying out for Radeon to increase efficiency, after all. And it would sure please AMD’s SoC clients, Microsoft and Sony, a whole bunch, too. This also doesn’t discount AMD Navi as a mainstream competitor that can hold its own. Polaris has been a competitive architecture, and with those building blocks on the 7nm process node AMD Navi could clean house once it launches later this year – long before Nvidia gets a word in 7nm node-wise. 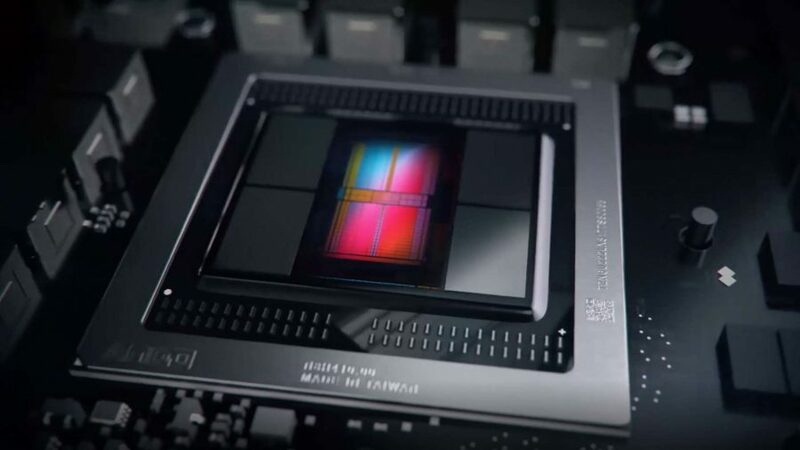 But as thing stands right now, while AMD has made a statement to its investors with the Radeon VII, its competitiveness is largely due to Nvidia’s own weak value proposition with Turing and the benefits handed to it via a dense process node. AMD still has a long way to go to hit true, long-term performance parity with an energetic Nvidia. And while AMD may have process node superiority now, for how long will it last? Once Jen-Hsun’s team drops 7nm, which could happen as early as next year, RTG could slip back into relative obscurity without a bulletproof plan in place to finally catch up and dent Nvidia’s high-end hegemony.